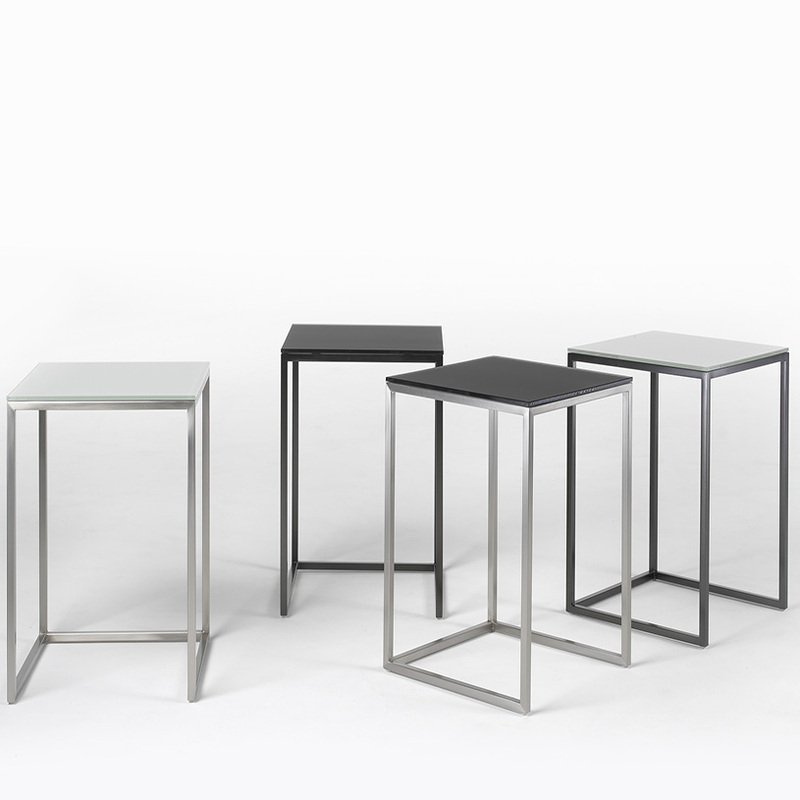 The Porto side table range is a chic and playful collection of occasional tables that are designed to be displayed either individually, or as a set of two or three. Available in a beautiful selection of stylish glass tops and a selection of metal bases in either chrome, brushed aluminium, black, white, copper, brass or grey metal. Made in Italy.